We’ve all been there. You’re part of a conversation which seems very interesting, but without knowing a few keywords, you have absolutely no idea what is going on. Sound familiar? A good area to brush up on would be FinTech, considering that its growth can be described as somewhat mind-blowing. Luckily for you, the Paybase team have produced this jargon-busting guide to ensure that when FinTech (or more precisely the world of eMoney) comes up at the next dinner party, you can confidently stand your ground! We’ve even jam packed the jargon buster into a social, friendly, sharable infographic. Free for you to save it and share it as you fancy. FinTech is an abbreviation of ‘financial technology’, an ever emerging area of finance where technology is at the core of providing the financial service. FinTech companies have been the driving force behind significant innovation in finance, creating new business models and disrupting traditional financial service companies. According to TechCityNews, UK FinTech firms raised $328m in Q1 2017, that is 171% more than raised in Q4 2016. It’s not surprising that about 1 in 7 people are already using FinTech in their daily lives in some way, shape, or form. P2P is an acronym that is used a lot in the world of FinTech but simply means peer-to-peer. Another way to think of it would be consumer-to-consumer, as opposed to B2B (business-to-business) or B2C (business-to-consumer). It describes an action between two users of a product as opposed to an organisation/company interacting with a customer or another organisation. Examples of this can be P2P payments, P2P lending and P2P software. 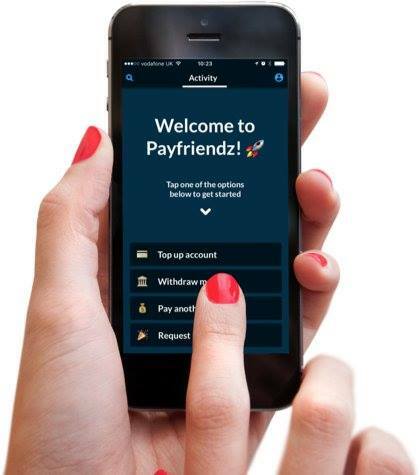 Check out our very own P2P payments app: Payfriendz - The fast, fun, free and secure payments app. Electronic money or eMoney, is cash stored in an electronic form. An eMoney account provides another way to send and receive electronic money online and is the force behind a lot of FinTech. Anna Tsyupko CEO, Paybase (interview discussing eMoney infrastructure). 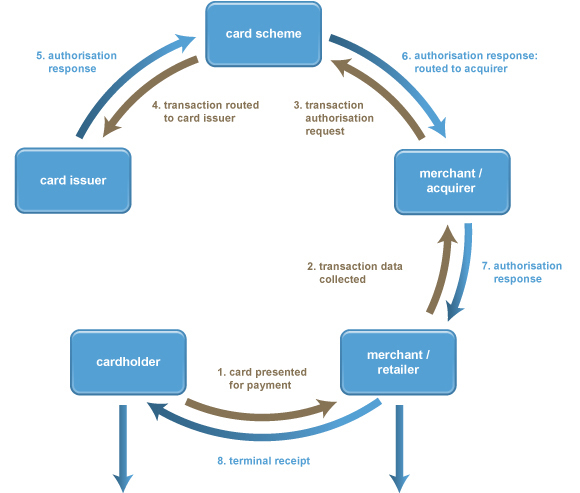 Payment systems can be either open loop or closed loop, which basically refers to where money can be spent. A simple way to differentiate between the two is knowing that a debit card is an open loop system whereas a gift card is a closed loop system. • Open loop: Open loop systems are linked to a personal account so do not need to be topped-up. Users can pay at many different locations from one payment device. The Payment Card Industry Data Security Standard (PCI-DSS) is an information security standard for organisations that handle branded debit/credit cards from the major card schemes (Visa, Mastercard, etc). • Helping merchants and financial institutions understand and implement standards for security policies, technologies and ongoing processes that protect their payment systems from breaches and theft of cardholder data. • Helping vendors understand and implement standards for creating secure payment solutions. API stands for application programming interface. It is a set of requirements that dictate how two pieces of software talk to each other. An easy way to think of it is using Mulesoft's analogy of an API being similar to the waiter in a restaurant. It is their job to offer you the menu, take your order to the kitchen, tell the kitchen what you want and finally deliver what you ordered to your table. The waiter acts as the ‘API’ that allows you and the kitchen to communicate. They have a great video that gives a helpful explanation if you would like to know more! Know your customer (KYC) is the process of a business identifying and verifying the identity of its clients. Due to the understandable need for heightened security when money is involved, it is common practice for FinTech companies to carry out KYC processes. According to RealWire a typical UK bank will waste £10m annually on inefficient KYC- checks. The report finds that mobile technology could save £5million in KYC costs, rising to £10 million in three years. A Bank Identification Number (BIN) is the first 6 digits on a payment card and identifies the bank that issues it. BIN sponsorship can be offered by issuing banks to organisations that are not financial institutions but still wish to run their own prepaid card programs. An Acquirer (or acquiring bank) is what enables merchants to process card payments. It is responsible for receiving the card transaction details from the merchant’s terminal, passing these through to the card issuer (the customer’s bank) via the card scheme (MasterCard/Visa) for authorisation and completing the processing of the transaction. If you have an app or product that issues electronic money (eMoney), you must register as an electronic money institution (EMI) in accordance with the Electronic Money Regulations 2011. EMIs need to comply with the Money Laundering, Terrorist Financing and Transfer of Funds (Information on the Payer) Regulations 2017. In the UK an EMI licence is granted by the FCA. The FCA (formerly known as the FSA) is the Financial Conduct Authority. It is the primary financial regulatory body in the UK and aims to protect consumers from damaging activities by financial services firms. It has the power to investigate any organisation in the financial sector and can ban any financial product that is not in the interests of consumers. The good news is Paybase are FCA regulated and can appoint you as an agent under our EMI licence. So there you have it! This is by no means an exhaustive list of FinTech terminology, but it should help you feel a little more clued-up when you’re next thrown into a conversation on finance/technology. However, if you want to really impress people, tell them about the amazing things Paybase are doing to disrupt the sector! Feel free to drop us a line and we’ll fill you in.